The ZV3 provides enhanced steering characteristics and high levels of driving stability, for a confident and controlled driving experience. Designed with an asymmetric tread pattern, this tyre works to retain stability, even when cornering, for great performance in summer conditions. 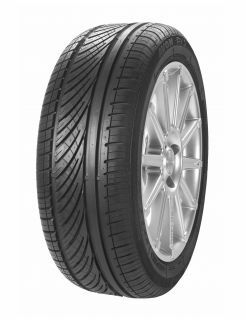 The ZV3 also achieves excellent driving comfort due to its specialist ‘tri-sector’ tread which reduces tyre noise.